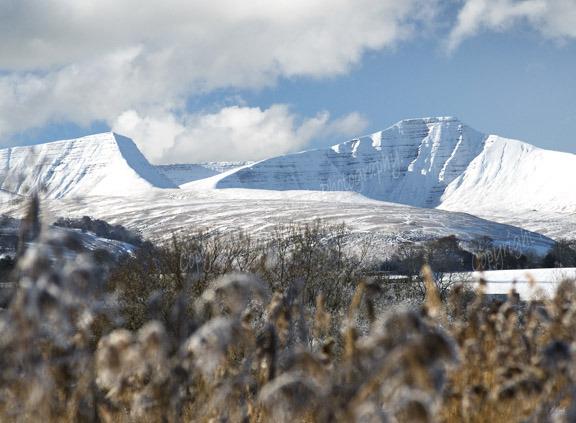 Philip Veale Photography: Snow covered Pen y Fan and Cribyn. Snow covered Pen y Fan and Cribyn. Snow covers Pen y Fan and Cribyn on a bright winter's day captured through the reeds that surround Llangorse Lake.